I am the first to admit it. I am a trusting soul. Yes I’ve been let down more than I’d care to admit and had my ego, pride and heart bruised on many occasions. However, I am a naturally forgiving person. I don’t hold grudges. I forgive and trust again. I am also Director of a Boutique Recruitment Firm, Harvest Recruitment which was founded on the back of my many years in the profession with some of Australia’s leading recruitment and HR firms. What’s more, when it comes to recruitment it’s a process of screening, interviewing, testing and validating to ensure our candidates we present to clients are, in fact, who they say they are. Over my years in the industry there is always that one candidate that makes the headlines. The most recent and highly publicised figure is Andrew Flanagan (AKA Jeffrey Flanagan) who presented a falsified CV to Geelong based recruitment firm, Quest Personnel and was subsequently placed, for one day only until found out, at Myer in an executive management capacity. Now, there are many reasons why candidates can slip through. From all reports Andrew was a smooth talker and a highly polished and professional presenter. For many the guard may slip. Backed up by willing and equally false referees, Andrew was on his way to landing a gig that he did not rightly deserve and was not qualified nor credible to perform. The issue that is presented, as many managers move up the chain, is they feel they are “beyond” the interview and many a hiring manager and recruiter will abbreviate the thorough interviews they undertake on more junior candidates to treat the executive with the dignity and respect they deserve. In fact, many head-hunters will admit they “lure” their executives with chat and small talk to gain interest in the role. What can happen is, once these executives show their interest, the recruiter neglects to conduct a thorough interview to test the candidate is all they say they are, regardless of seniority. Yes you may need to coax a passive candidate to become an active candidate but once active, it is imperative you interview them as thoroughly as you would a highly active or a less qualified or experienced candidate. Often candidates get asked what they did, but many interviewers do not ask Tier 2 or Tier 3 questions. A candidate could say “Yes, I was responsible for the Shanghai operation, a direct team of 10 and 30 indirects and we achieved 20% growth year on year to a revenue of $10million” At this juncture a lot of interviewers would say “that’s impressive” and move-on. No! Here is where you stop and do a conscience vote on their achievements. Probe deeper. Ask “How was this done? Who did you work with and through? Who was your manager/client/supplier and what did they think?” Getting deeper and seeing how your candidate responds allows you to check in with what they are saying. Is it as impressive? Did they stall when you probed further? Were they convincing? By this stage you are actually seeing the other parties, potentially validating parties, that will reinforce what they say. When it comes to reference checking, you can’t glibly take a referee at face value. Names, titles and mobile phone numbers are fraught with danger of being false. I know! Remember I am the trusting soul! What I’ve learned over the years is if you are given a referee at a company, call the company on their switch number, and ask for the referee. At the very least you are confirming that the referee is employed by that company. You can google search your referee – find out some history, play on LinkedIn – if appropriate – and look at their profile. Again, you don’t have to be a private investigator to gain more confidence that the referee is who your candidates say they are. I know it may feel bad to do this, but it would be worse if you went ahead based on “trusting” alone and got the wrong person in your organisation. An example I had recently was with a candidate who had applied for a position and he looked solid enough on paper but he had left a company that I knew, for a fact, was in need of the skill set this person had. It automatically rang alarm bells. I asked the candidate for a referee from that company and he said they’d all moved on and he couldn’t give me one. I said I knew the manager of the company and would he mind if I called him. He said “I’ll email you the name of someone more appropriate” and by now had a nervous twitch. Guess what? I never heard from the candidate again. Now this was fortunate as I had industry insight, but most hiring managers also have connections in their sector. Note I asked for permission to call the person – this is important too. On the last point, many candidates will say their referees have moved on and can’t be contacted. That’s hogwash! Sorry but it is. We are in a digital age where most people have a digital footprint. People can be found if you work to trace them. Google search, facebook search, LinkedIn search or do a search on their previous company. They’ve left that company? Fine, call the company and ask where they’ve moved to. I have to say, based on my experience, whenever a candidate has been hired without reference checking it invariably turns bad. There are skeletons in the closet and they hope you will trust them enough to start them but then watch as it unravels before your eyes. Presentations, role playing, case studies, simulations, psychometric profiles, aptitude testing, demonstrations, team work activities, skills checks, qualifications checks, police checks and medicals are other validation techniques at your disposal to further verify if your judgement of your candidate is correct. The more you use the more you can be sure, your candidate is, in fact, the real deal. You may think that with my knowledge of seeking, screening, interviewing and verifying that I immediately jump to the conclusion that the candidate is lying until deemed to be telling the truth but no, I still err on the side of trust even when my role and our consultants are here to find the truth in every candidate we present. 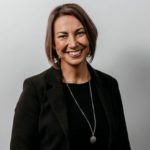 Written by Maree Herath, Author of “Bodysnatchers – Unlocking the Secrets of the Recruitment Industry” and Host of Harvest HR Breakfast Briefings Held monthly in Geelong and via webinar.